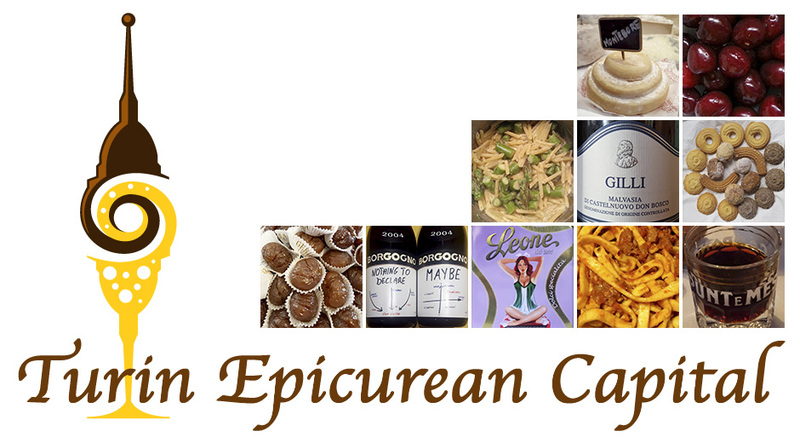 In Italian cascina means farm so most of the times you find this word, it will be a synonym of a family business, small productions and old times quality. 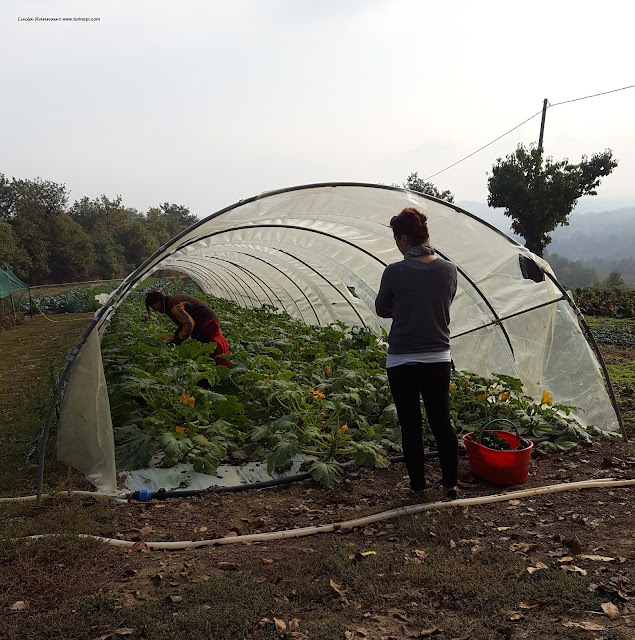 This is also the case of this vegetable and fruit farm: six years ago, its owners left the city life and their jobs to raise their two kids in the country, in contact with the nature, following the season rhythms in the most natural environment. 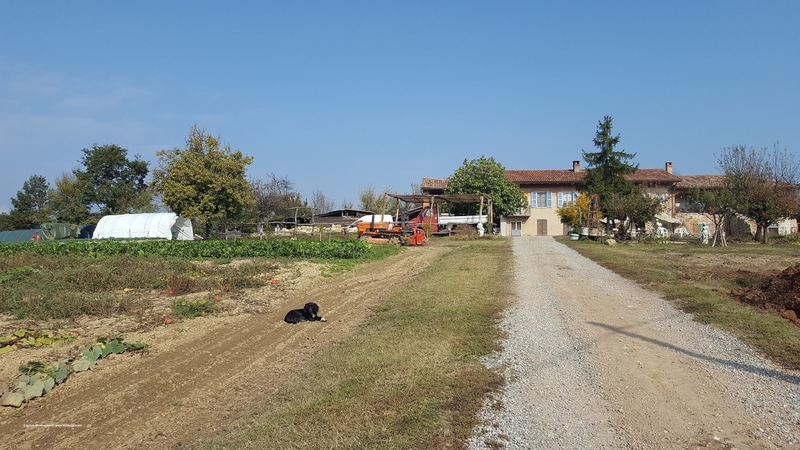 After greeting and playing with Raksha, the farm dog, Cristian Raffero - the Cascina Krylia's owner showed us around and told us that the farm is an ever evolving work in progress. 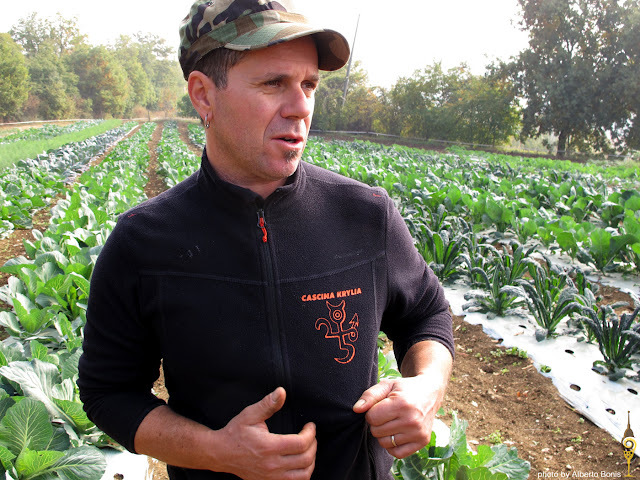 He and his wife Lia, a trained psychologist like the freedom of modifying their farm as new ideas and projects come up. 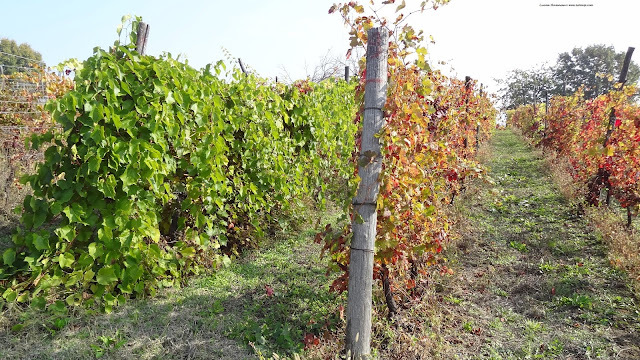 He left the Langhe wine district where he had some land to buy this property on the Monferrato hills, because the soil is still uncontaminated, and this is where they are growing certified organic products, while the whole farm is completing the organic certification process. 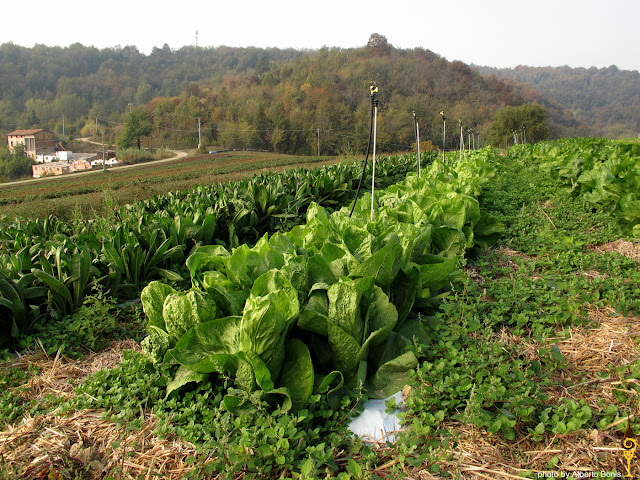 Having their produce certified organic has allowed them to outreach to a larger consumer public, however their prices are still low and very much affordable. Green manure, mulching and drip irrigation are the key words of this farm where you can find all the vegetables in season, berry bushes (including sugar plum), a seasonal orchard, a pumpkin patch and even an inactive tiny vine, one of the very few survivors of the 19th century grape philloxera epidemic! We followed Cristian intrigued by his work and the landscape that included 300 year old trees that were already on the farm before he started his business. As far as our enchanted eye could see, everything on his hills is organic, which is why he has a happy beekeeper renting a cascina right in front of his farm!